Smart Manufacturing Archives | Morai Logistics Inc.
Smart manufacturing is a new advancement in supply chains that will help optimize the customer experience and meet consumer demands. Joined forces of the Internet and digital technologies have provided the world with easier and faster ways to buy products and services. 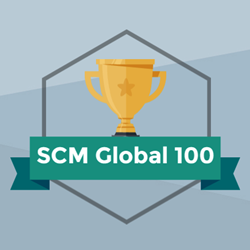 The Global ecommerce market has seen an incredible increase in market value over the last 5 years as a result. Statistics show that in 2014, the global ecommerce market generated USD $1.3 trillion in sales. Last year this amount increased to US$2.8 trillion. By 2021, sales are forecasted to increase by 276.9%, which will generate an estimated USD $4.9 trillion. Although these figures are positive from a global wealth standpoint, they also translate into an impressive level of output from a supply chain perspective. An increase in sales means an increase in expectations, which also can cause many industries to feel constant pressure to keep up with customer demands. Therefore, supply chains must think of ways to leverage digital tools to help. From autonomous trucking to machine learning, technology has provided endless opportunities for organizations to remain competitive. However, we often hear of these digital tools from a data and insight or a predictive analytic perspective. Smart manufacturing is a concept making headway in the supply chain and logistics industry because of the many benefits it can help the shipment life cycle. It helps to create opportunities that improve efficiencies, productivity and operations on the ground floor. 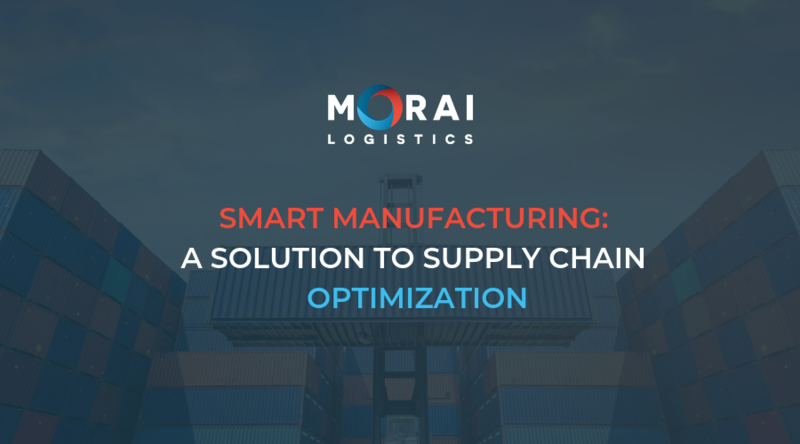 This week, Morai Logistics looks into the innovative characteristics of smart factories and discusses expert opinions on how supply chains will benefit. A smart factory is a leap forward from more traditional automation to a fully connected and flexible system — one that can use a constant stream of data from connected operations and production systems to learn and adapt to new demands. This digital phenomenon is one of the many examples of how digital maturity extends throughout the entire shipment life cycle. Why does manufacturing need to be ‘smart’? As mentioned above,supply chains are under pressure to remain agile, efficient and offer affordable services in today’s competitive market. Especially with outsourcing becoming more and more mainstream, differentiation is integral. Therefore, it’s important to look at the different ways smart digital tools can help. Smart manufacturing can help solve these challenges by creating a streamlined and consolidated process based on a singular operating platform. Furthermore, the sharing of insights and data will create ‘instant decision-making’ opportunities and will help supply chains overcome challenges of changing markets. As with any digital transformation, the process of moving to a smart way of manufacturing is progressive. Supply chains must jump over a few hurdles including a change in workforce culture, leveraging useful data and the most common, security. 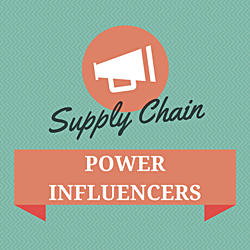 However, there are considerable reasons this will improve the way supply chains run. Let’s take a look at the benefits smart manufacturing provides supply chains. What are the benefits of Smart Manufacturing? Finally, to keep up with increased demands, supply chains must devise optimized solutions to produce necessary output efficiently and with agility. 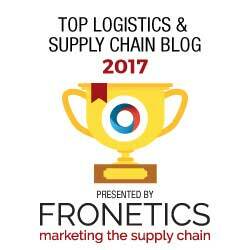 Furthermore, it’s important that supply chains recognize the improvement in productivity, in addition to instant decision making. According to their extensive research on the implementation of smart technologies, Oracle also attests that ‘smart factories increase output, quality, and consistency’. Therefore, the move toward smart manufacturing is a solution for meeting the needs of booming global markets. This will also help supply chains digitally mature from a central area and improve efficiency, agility and productivity.